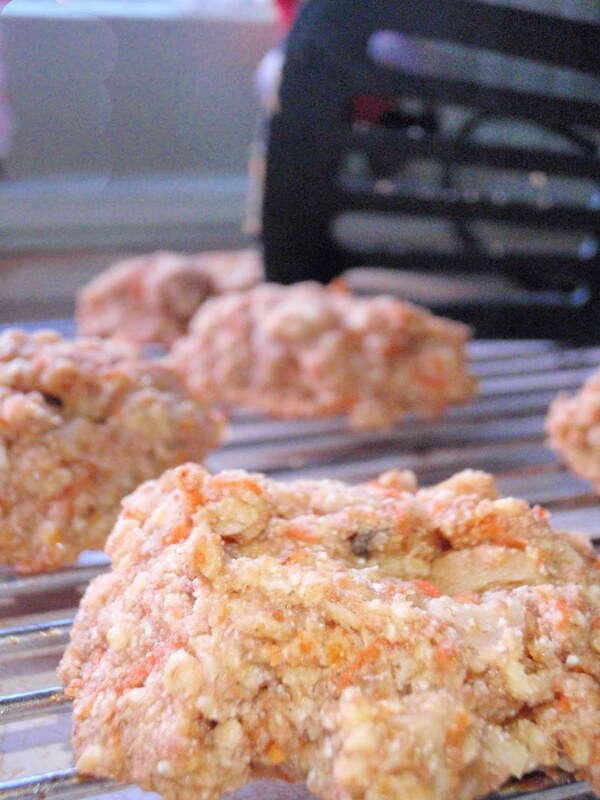 If you are craving a sweet treat I highly recommend these Carrot Oatmeal Cookies. I adapted the recipe from Heidi Swanson, as I still have yet to find coconut oil at the grocery store here. These cookies are just sweet enough, with a hint of ginger, and I love the twist of carrot thrown in. Whisk together, Flour, Baking Powder, Salt, and Oats. Whisk together Maple Syrup, Butter, and Ginger. Add small bowl mixture to large bowl. Drop a Tablespoon size onto each cookie sheet. Allow 2 inches between each cookie. Bake for 10 to 12 minutes or golden on top and bottom.